Connect to your Heart Centre & the Divinity that lies within you, through the Ancient Arts of Yoga, Meditation, Pranayama, Mantra, Crystal & Reiki Healing, with a Cacao Ceremony & Chakra & Earth Dancing, Inner child healing, Love & Laughter, Connecting to Pacha Mama, the Divine Feminine, our Mother, Earth. 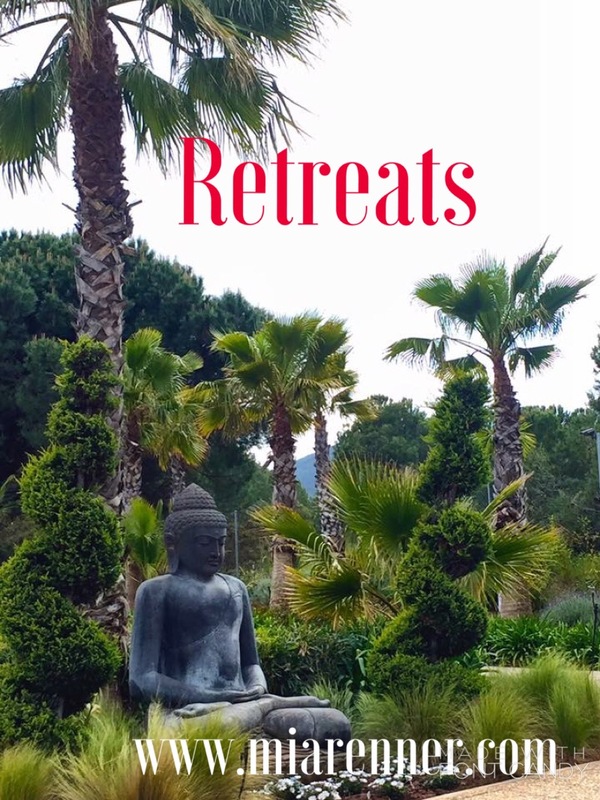 You will leave this retreat day feeling healed, empowered, energised yet relaxed, re-balanced, recharged, re-connected to your divine soul purpose, or with more clarity of what you strive to achieve, with goals & visions, free from the chains we place upon ourselves, free from the burden we allow others to place upon us, blissed out, peaceful, in total Samadhi – Nirvana. Happy, love-filled & joy-filled, with new Earth & Soul Sisters & friends for life! 50% deposit to secure place. Balance to be paid in full 7 days prior to the retreat. Deposit is non-refundable but is transferable should you cancel. Visit www.miarenner.com to learn more about Mia & her work.